This is one of our favorite things to do for gifts for friends around the holidays and for Summertime consumption. The natural flavors are so delicious compared to their artificial brethren. In Portland, our tastes are tickled by the creative concoctions of mixologists around town. Here are a couple easy recipes to make at home. Take 1 - 750 ml bottle of vodka and place 1 serrano chile into bottle. Close and store for at least 2 weeks away from light and heat. Take 1 - 750 ml bottle of vodka and place 4-5 lavender buds into bottle. Submerse in lavender in vodka. 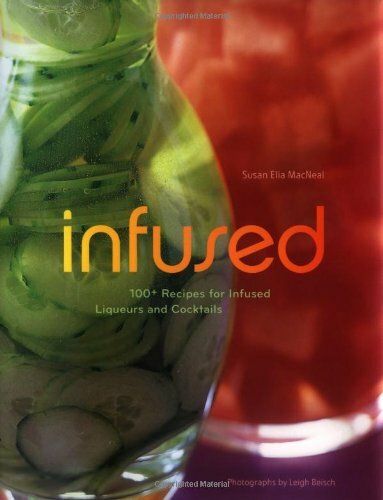 Looking for a good infused alcohol and cocktail book? This one by Susan Elia MacNeal is the one I keep on my shelf. Gently stir together first three ingredients over ice and then add lemon and lavender for garnish. Mix first four ingredients together in a shaker filled with ice. Shake until your shaker is frosty and pour into martini glass, garnish with a slice of lime. 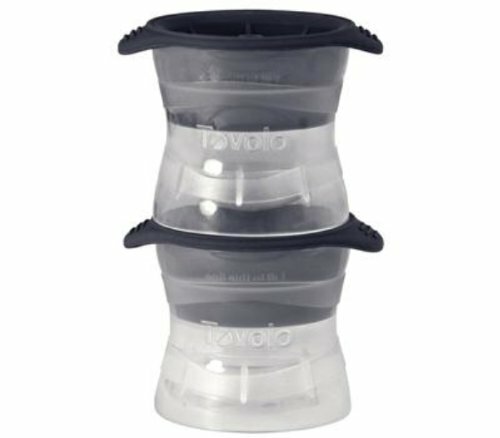 These gorgeous and easy to use molds give you a 3" circular ice globe to pour your liquor over. Functional and attractive. These are also a great gift addition with a nice bottle of whiskey.